We are back! Friday Night Racing is coming up quick and this season will not disappoint. We will have 10 weeks in the series. We will end with our Bare Bones racing weekend on March 22nd and 23d as well as a clinic on the Sunday. Racing begins at 6:30pm for Novice, and 7pm for all other categories. See you all at the track! Schedule is not final and can be changed by the Race Organizer or Program Director at their discretion. 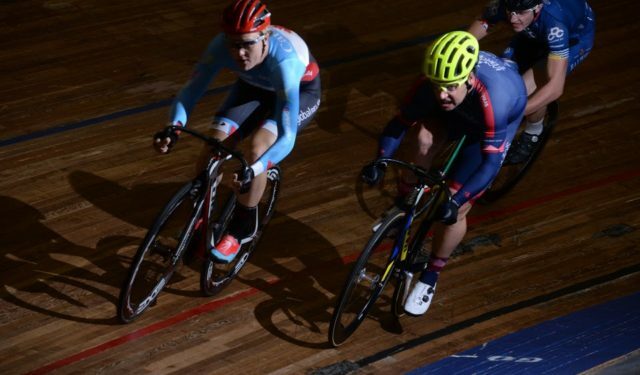 On December 21st, at 645PM, the Burnaby Velodrome Club be hosting the Second Annual Krampus Christmas Challenge! The tradition was started when two of our more… vocal members had a whinge about one of the races being canceled on the last night of racing in 2017. This is an unofficial race, with no points being awarded. This year’s benefactor is the Britannia Secondary: Breakfast Program. More information about this program can be found here. Entry for the Krampus Christmas Challenge is $20, with 100% of all entries going to the charity. Last year we had prizes for winners of each race, with the winner of the last race getting the prestigious lump of coal. This year also boasts a similar, but top secret prize! There will also be a Christmas Crawl, winner take all! Entry is $3. Heckling is encouraged. 646: Christmas Crawl. $3 entry, winner takes all. *I’ve got something especially obnoxious planned for the last two races of the evening. We are back! Friday Night Racing is coming up quick and this season will not disappoint.We will have 10 weeks in the series which will include the Spooktacular Friday Night. We are also happy to bring back our Bare Bones racing weekend which will be running on November 9th and 10th as well as a clinic on the Sunday. New for this season is the Madison Cup. A and B racers will have the opportunity to race for a separate jersey, scoring points in three races throughout the season. 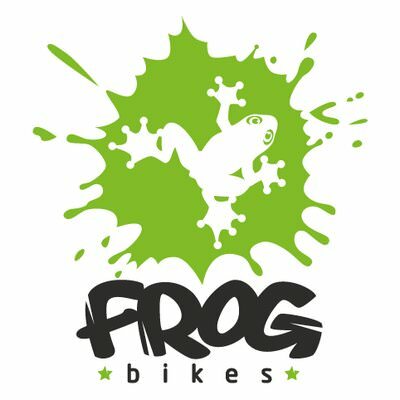 Please note that riders must have done a madison clinic, or be approved in order to race. 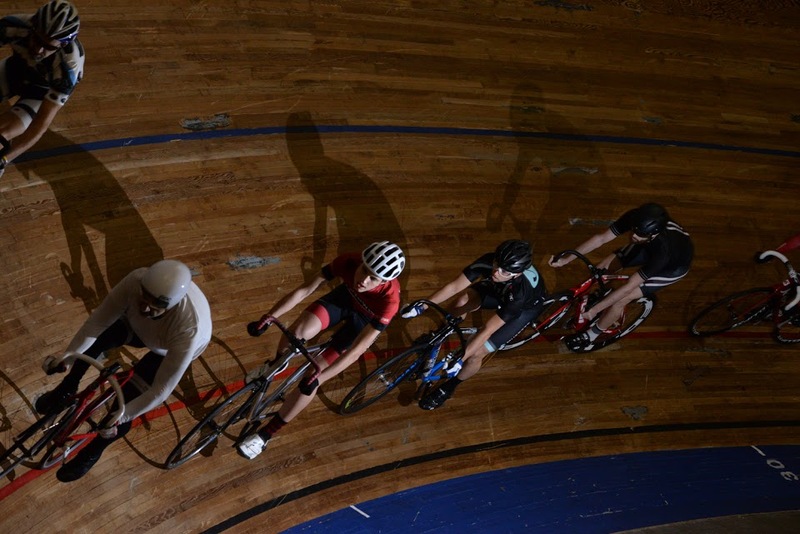 Racing begins at 6:30pm for Novice, and 7pm for all other categories. See you all at the track! October 26th Halloween Spooktacular Friday Night Racing! We are back! Friday Night Racing is coming up quick and this season will not disappoint. We will have 11 weeks in the series. We will end with our Bare Bones racing weekend on March 22nd and 23d as well as a clinic on the Sunday. Racing begins at 6:30pm for Novice, and 7pm for all other categories. See you all at the track! We’ve decided to do one last night of racing before Christmas, on December 15th. 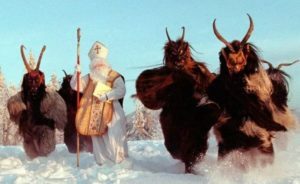 It will be known as the ‘Krampus Christmas Challenge’. No real points will be awarded for anything. 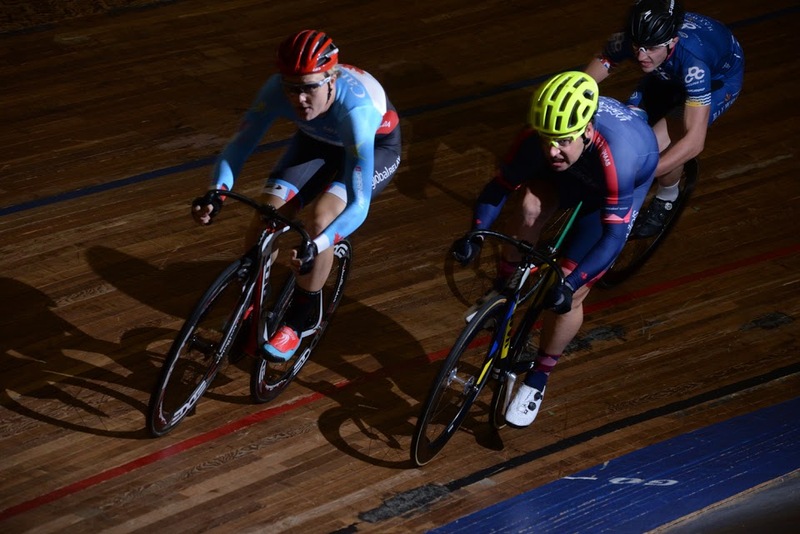 Racing starts at 6:30pm for novice riders, and 7pm for C/B/A. If no novices show up, we’ll start at 6:45pm. Fields may also be combined, based on attendance. All money collected above and beyond standard Friday night race entry fee will be donated to the Greater Vancouver Food Bank (GVFB). There will also be (modest) Christmas-themed prizes for the winner of each race. We are back! Friday Night Racing is coming up quick and this season will not disappoint.We will have 10 weeks in the series which will include the Spooktacular Friday Night. We are also happy to bring back our Bare Bones racing weekend which will be running on November 10th and 11th as well as a clinic on the Sunday. 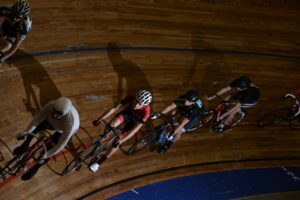 Racing begins at 6:30pm for Novice, and 7pm for all other categories. See you all at the track! October 27th Halloween Spooktacular Friday Night Racing! Our novice series saw plenty of riders of all ages competing to earn their upgrade to the C division. The focus of this group was safe riding, and we will see many of these racers upgrade to the C group for the Winter Series. Our “Most Improved” award goes to Dave Huebert, who consistently improved his racing skills throughout the 10 weeks. The C group was once again a large group on the track, and we will no doubt see some of these riders upgrading to B’s in the near future. Our top contender in the C category was a hard fought battle between Andrew “The Leopard” Lepper, and Michael Matthews. Andrew was just able to take top spot with a slim 25 point lead over Michael. Rounding out the podium was Spencer Mulder, with 69 points. The B group was a consistently strong and big field, and was subject to a very close battle for podium positions. Neil Davies, looking for revenge after a second place finish by only 5 points in the Fall, ran away with the show, accumulating a whopping 149 points. Second and third were a hard fought battle, with Michael “The Kaiser” Wegner inching out the Maple Ridge Princess (Maggie Coles-Lyster) by only 3 points. The A group set blistering paces and we saw several very talented riders in this field. Dylan Davies took top honours, accumulating 126 points over 19 races. In second place we have Jay Delaney, moving up one spot since the fall. Third place, only 11 points back, is Alex Murison of Trek Red Truck Racing. Fall Series 2016 – That’s a Wrap! Our Fall series has come to a close. We have tallied up the points and are ready to announce the winners of the Friday night Fall series. Our novice series saw plenty of riders of all ages competing to earn their upgrade to the C division. The focus of this group was safe riding, and we will see many of these racers upgrade to the C group for the Winter Series. Our “Most Improved” award goes to Lora Genaille, who consistently improved her racing skills throughout the 10 weeks. The C group was one of the largest groups on the track, and we will no doubt see some of these riders upgrading to B’s in the near future. Our top contender in the C category was none other than Dominek Adamoski who put in many dominating performances to take the overall with 202 points. In second place is Andrew “Not Kyle” Lepper who racked up 122 points during the course of the series. In third place is Kyle Ulinder with 97 points. The B group was a consistently strong and big field, and was subject to a very close battle for podium positions. The one taking top honours in the B group go to Bobby “Rockets” Freeman of La Bicicletta. Bobby powered to the win with 92 points. Second place in the B group was Neil Davies, with only 5 points less, at 87 points. A further 5 points back, and rounding out the podium is Emil “Can we do 32kph” Marcetta with 82 points. The A group set blistering paces and we saw several very talented riders in this field. 12x National Champion and multiple World Cup medalist, Steph “The Viking” Roorda, rode away with the series win, racking up 132 points. In second we have new velodrome employee Amiel Flett-Brown with 73 points. Only 3 points back is Jay Delaney with 70 points. We look forward to starting up again on January 13th. Have a good holiday! Photos courtesy of The Black Line. Due to the popularity of all our programs, we are returning to our old racing schedule. Novice will race at 6:30pm, and all other categories start at 7pm. We are back! After a brief holiday break, we are ready to go again. We will have 10 weeks in the series, starting with our Bare Bones racing weekend which will be running on January 13th and 14th as well as a clinic on the Sunday. See you at the track!